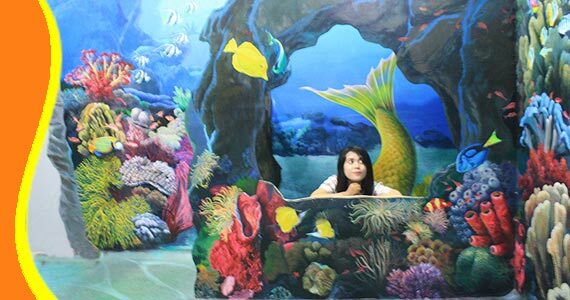 Only IDR 85,000 and Express yourself in 3D Trick Art DMZ Museum. What do you think about `Museum`? history, ancient, struggle, or perhaps boring. 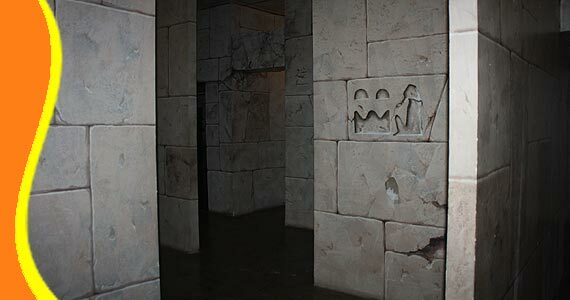 But the perception of the museum you will probably change when visiting this museum. 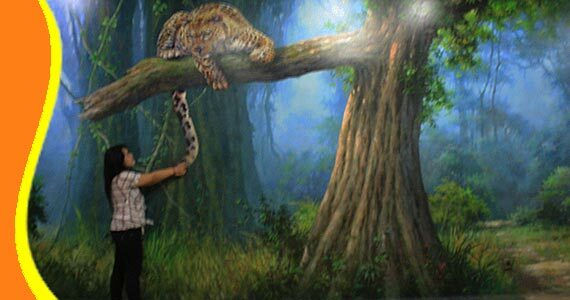 Trick Art Museum DMZ Bali is located at Jalan Nakula Kuta - Bali will give you a different experience unforgettable and change your impression about the museum. This museum provides 80 of 3D painting, with a variety of stories and locations. You can take pictures as if you are a knight on the rock era (prehistoric) and meet dinosaurs, battle with snakes phiton or against a giant octopus. For those who dream of a surfer, you can pose in the middle rolls of big waves. Or for you who wants to be an artist, this museum gives you the opportunity to pose as a painter one of the world famous models are monalisa, like you are Leonardo da Vinci. 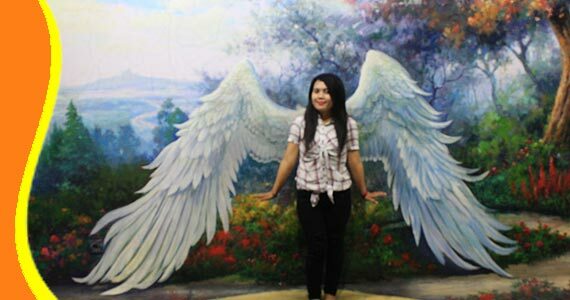 One picture that not to be missed when visiting this museum is a photo of a pair of wings, and Pose like fairy or angle when come down to earth. And many more paintings with different stories can you explore in this museum. So its fun, funny, cool, fantasy and really WOW. So for you who likes selfie and have a high imagination, we recommend to visit this museum, express yourself and see how expressive you are. 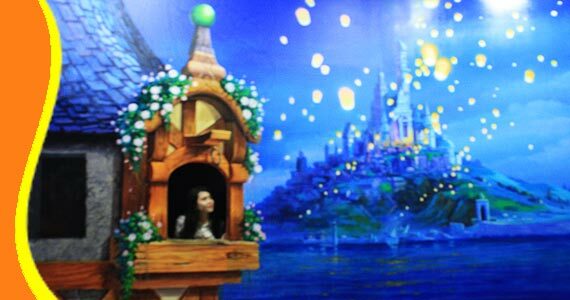 Korea's 3D Trick Art Museum DMZ in Bali is the 3D illusion art, becoming another attraction in Bali by diversely expressing beautiful sceneries and customs of Bali based on the expertise of DMZ Museum that have been creating numerous trick arts. 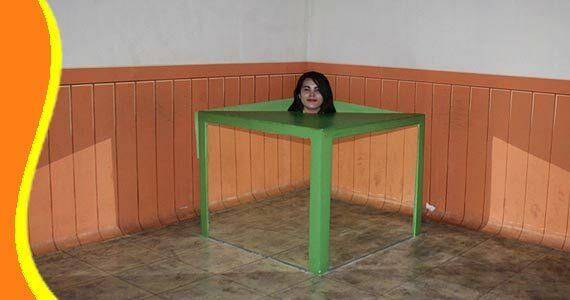 Come and make special memories at DMZ, the world's most fantastic illusion art museum. 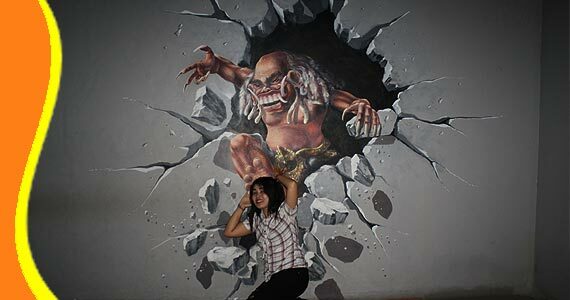 - About 120 pictures collection could be found in 3D Trick Art Museum DMZ Kuta Bali. You can take all of that, and go express yourself. 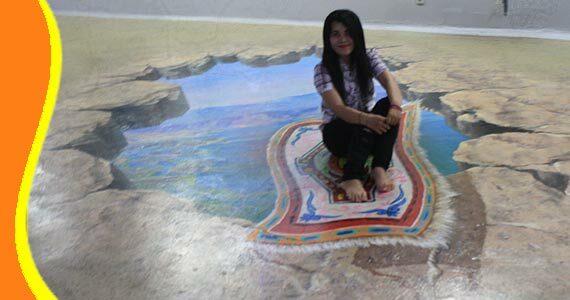 For further Trick Art DMZ Museum 3D Kuta Bali Cheapest Price, Product Details, Trick Art Museum 3D DMZ Kuta Bali Package, DMZ Bali admission Voucher & Discount / Promo / Kuta 3D Trick Art Museum DMZ Bali Ticket Rate deals). Get a Bali Transport from your stay (Resort or Hotel). 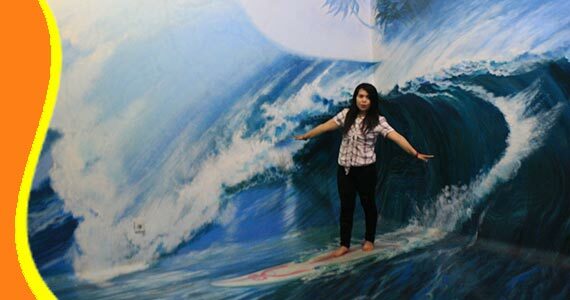 3D Museum DMZ Trick Art Kuta Bali does not arrange a Free Transportation. But you can contact us if you need transport. The DMZ Kuta Museum 3D Trick Art can be combined and implemented in conjunction with other activities Trip or Tour in the same direction. Watch on Youtube group of Elementary School in Bali visiting DMZ Trick Art Museum. "Best and Enjoy the time (Ika - Indonesia)"